Our team consisted of 6 volunteers of whom an interpreter. Our actions began in Hanoi via Hué, Danang, Ban Met Thuot, Dalat and Saigon. 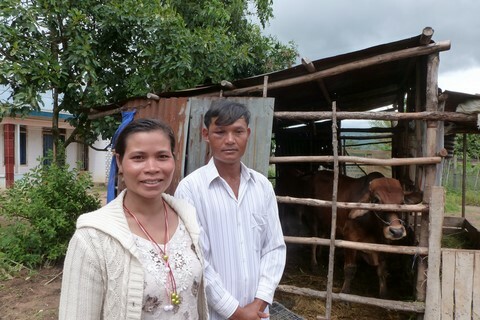 We strengthened our relationships with our partners and met some new ones. As the last year, we were able to measure the difficulties met by the persons in charge of orphanages and schools. The distress of the families which we visited gives the scale of the situation of the most deprived. The children very handicaped and abandoned affected strongly our sensibility. We were at the heart of the realities. We found the children sponsored by the members of our association. Welcome very joyful of the children with flowers, songs and dances. We receive all this enjoyment with a lot of emotion. We presented slide shows on the costumes of the old French provinces and on the manufacturing of the "foie gras" in three different places, in the North, in the center and in the South. We made live the "Basque" tradition to the French-speaking Vietnamese. Moments of relaxation, dances, tastings of "Basque" products and "foie gras". Many exchanges and questions on the presented subjects. It was a great moment of disorientation, discovery and laughter for our Vietnamese friends. Our team consisted of 5 volunteers and an interpreter. 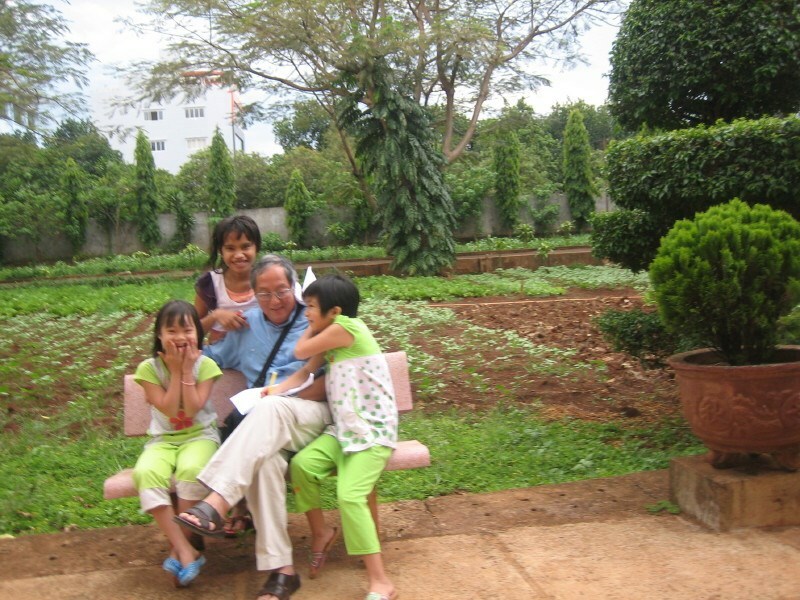 Our actions began in Saigon via Dalat and Ban Met Thuot. We made unexpected meetings which allow us to develop our actionsand to move forward with the certainty which we have to continue. 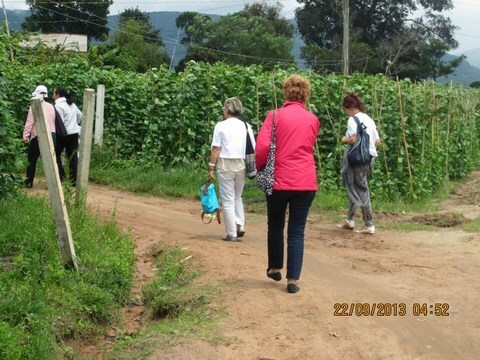 We were able to measure the difficulties met by the persons in charge of orphanages and schools. The distress of the families which we visited gives the scale of the situiation of the most deprived. The very children handicaped and abandoned affected strongly our sensibility. We were at the center of the realities. We found the children sponsored by the member sponsors of our association. Welcome joyful of the children with flowers, songs and dances. We receive all this enjoyment with a lot of emotion. The stay took place from September 16th till October 1st, 2013. The group consisted of 6 voluntary women of ADM Vietnam Aquitaine (2 nurses, 1 doctor, 1 interpreter and 2 not medical). This stay allowed us to spend time in search of new local partners, of new places of medical consultations and to strengthen the links with those whom we know better and better. The small group was able to dread the work to realize on the ground, the state of poverty of the population and the helplessness of all these people. Many shared feelings, tears for some, the condolence and the humility to be implemented to make our actions a success.